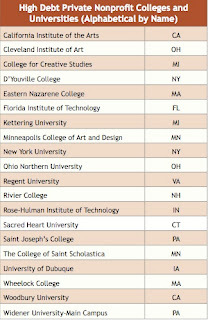 The Project on Student Debt’s report included a list of schools with the highest student loan debtors. Students of the private schools listed below graduated with debt ranging from $40,400 to $55,250. 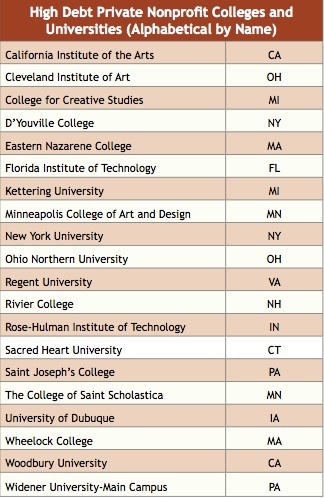 public universities that produce graduates with the most debt. The public school debt ranged from $29,800 to $45,350. There’s been a lot of talk out there about the mounds of student loan debt recently graduates are dealing with. If you are sitting with high variable interest rate private student loans or high fixed rate private student loans, you should do yourself a favor and at least look into what your options are- A private student loan consolidation may be able to lower your fee, provide one monthly payment, give you temporary relief with an interest only option, etc…If you can avoid it, do not extend the payment years, you will end up owing more over the life of the loan. A new feature on the Cedar Education website, the Private Student Loan Consolidation Calculator helps applicants better understand their potential savings and whether or not consolidation is the right choice for them. 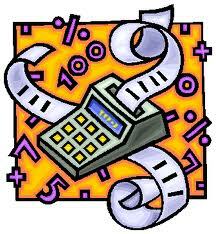 The calculator uses an applicant’s remaining loan balance and existing monthly payments to estimate the impact of a private consolidation loan on their monthly finances. Cedar Education’s website allows you to calculate both your private and federal student loan refinance options for all of your student loan needs. 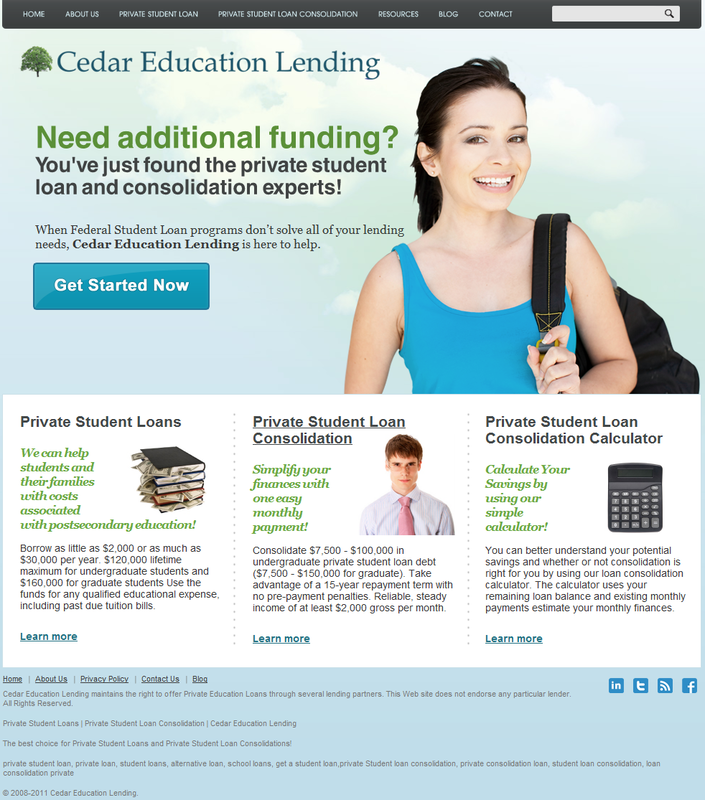 Well, it’s official Cedar Education Lending has a new site design. 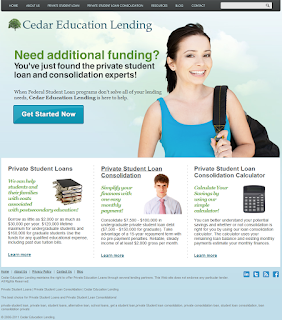 We hope that our investment will help make it even easier to acquire private student loans and private student loan consolidations from Cedar Education Lending. Our mission is to offer private funding options to students currently pursuing a degree, as well as recent primary or postsecondary graduates to supplement Federal Loan programs. Our private student loans offer competitive rates as well as attractive borrower benefits.